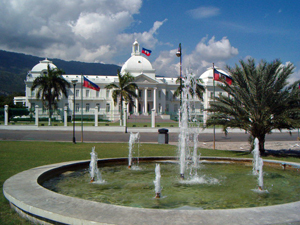 Port-au-Prince is the capital and largest city of Haiti. 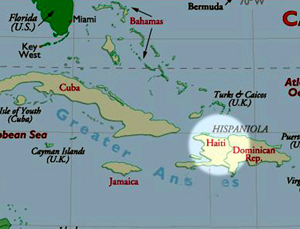 Growth, especially in crowded slums in nearby plains and hillsides, has raised the population of the Port-au-Prince area to between 2.5 and 3 million. It is located on a bay of the Gulf of La Gonave. The city's layout is somewhat similar to that of an amphitheater; commercial districts are near the water, while residential neighborhoods are located on the hills above. Though unemployment is very high in Port-au-Prince, it would be more accurate to say that people are underemployed. Walking down the streets of Port-au-Prince a person cannot help but recognize the extremely high levels of activity, especially among people selling goods and services right off the streets. 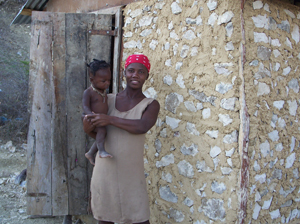 In January, 2010, Port au Prince was struck by a deadly earthquake. Recovery from this disaster, which will take years, is a focus of VHP, and hundreds of other worldwide organizations. Vermont Haiti Project supports several ongoing activities in Port au Prince, along with the opportunity to explore the city and visit with local schools, orphanages and outdoor shopping. 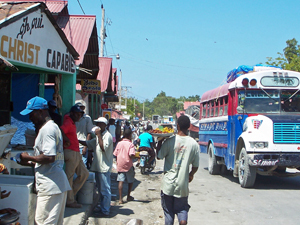 The small rural/mountain village, located about 125 miles west of Port au Prince, is the hub of a 21 village region. 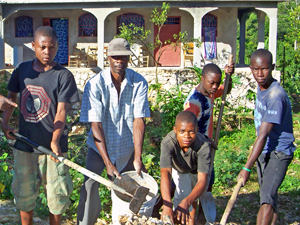 Vermont Haiti Project is pleased to be working with the people of Duchity in building and developing a vocational training center. VHP volunteers also interact with the residents through a number of activities, including music, art, recreation and school. Despite the obvious inconveniences, natural disaster, and financial and medical hardships, the citizens of Haiti and the Duchity region are a happy and proud people who place a strong premium on family, community and church.